Want an intensive, one-on-one Pilates experience customized to your unique goals? Nothing beats a program designed especially for you! Pilates is an innovative and safe system of mind/body exercise using a floor mat or a variety of equipment, including the Pilates Reformer. It evolved from the principles of Joseph Pilates and can dramatically transform the way your body looks, feels and performs. 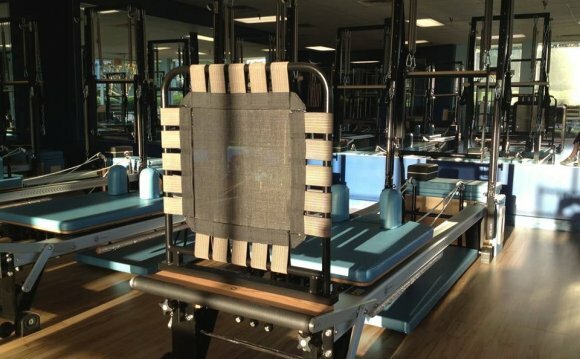 The Reformer is the workhorse of all Pilates equipment. It will not only assist you through the more challenging exercises, but it can add resistance to easier exercises. Our fully-equipped Pilates studios also include a variety of other tools, including the Wunda Chair, Ladder Barrel or the Cadillac. We recognize that training styles and preferences are unique. We focus on your needs & goals to pair you with the ideal trainer so that your time is optimized and your results are amplified. Discover Pilates personal training at Sport&Health Clubs across Virginia, Maryland and Washington, D.C.